With flexible liners, we can create a custom design that is right for you. 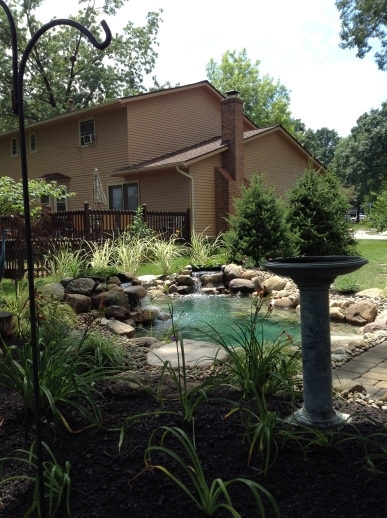 Already have a water feature that needs serviced, expanded, or entirely redone? We can help! 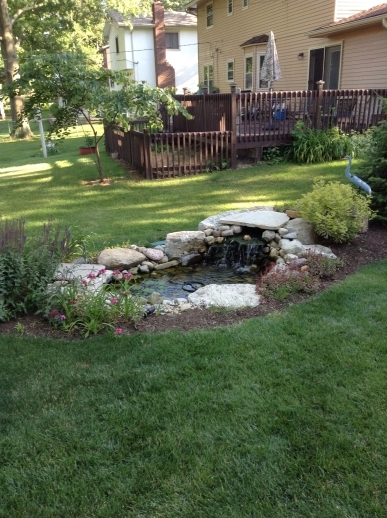 Below are some features that we renovated to bring the water garden back to life! 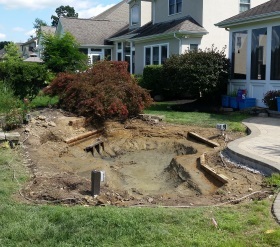 Our homeowners had an existing water feature but were looking for a bit of an upgrade to hide exposed plumbing and wires. The existing feature was removed to give us a blank canvas to start with. 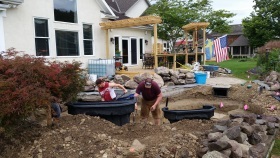 Our expert installers went right to work redesigning the water feature. The feature was expanded and skimmer boxes set to establish the final water level. 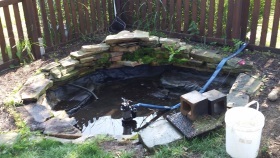 The pond was also dug quite a bit deeper to give the fish more places to hide from birds and harsh weather. 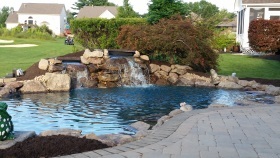 An attractive waterfall put the finishing touches on a beautiful paver walkway! 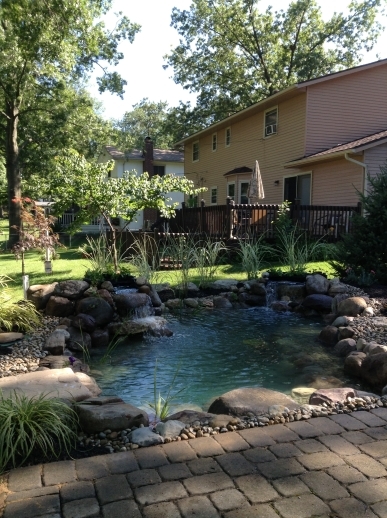 This backyard had a small pond that was having a hard time supporting any fish or aquatic plants. 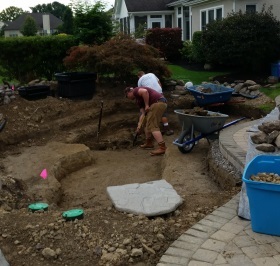 We removed the existing pond and expanded it quite a bit to meed up with the paver patio nearby. The waterfall was nestled into the corner of the fence making it easily visible from any angle. 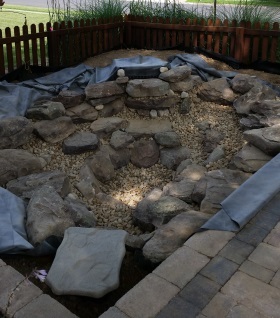 Next the flexible liner was installed and covered with boulders and gravel. 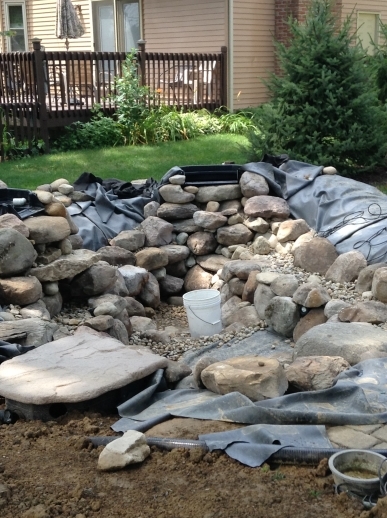 The boulders nicely outline the steps into the deeper portions of the pond giving fish an excellent habitat. 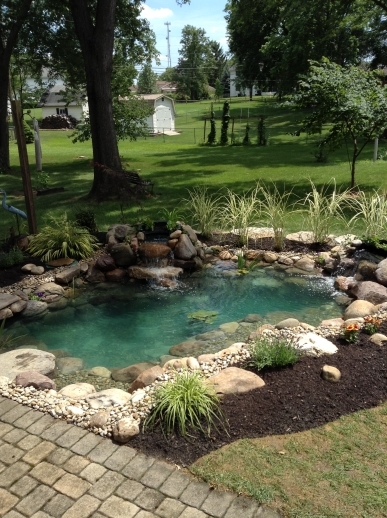 The end result is a crystal blue pond with a soothing waterfall. Perfect for that weekend family gathering! While the existing landscape had a nice water feature already it was our goal to integrate it with a very attractive paver patio nearby. 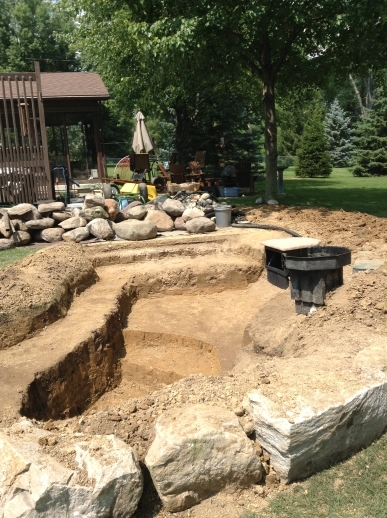 The existing stones, flexible liner, pump, and plumbing were removed. 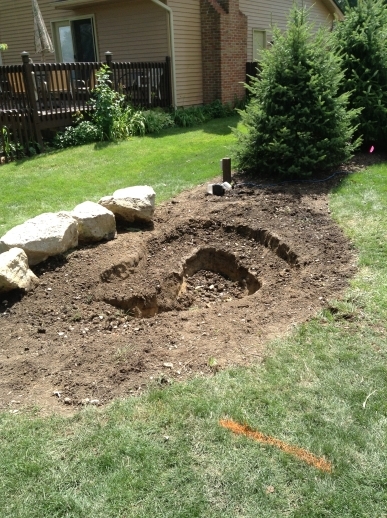 We dug the pond quite a bit deeper and expanded it to tie in nicely with the paver patio. The skimmer box, pumps, and new plumbing were also installed. Laser levels were used to ensure the water line matched up to the patio nicely. The flexible liner went in next and was carefully covered with stone to give it a very natural look. 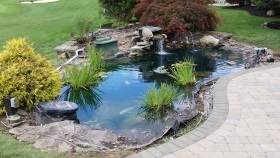 Once it was filled with water and the pumps came on the pond came to life! 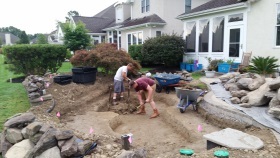 The remaining dirt from the excavation process was used to build up the landscape around the pond and patio which unified the entire area. All that is left to do now is relax and enjoy! A landscape that will be enjoyable for years to come!